Is Your Small Business on Instagram? If Not, It’s Time! Do you have an Instagram account set up for your business? If not, you’re missing an incredibly valuable opportunity to connect with potential clients and customers in a way that is unique from every other social media channel. Instagram is currently the most used social media network out there today, with over 800 million monthly users. Even better, these are highly engaged users! They are actively looking for content, services, and products, all of which you and your small business could provide them with. So the 800 million dollar question is… Why aren’t you on Instagram yet? Is your small business on Instagram? If not, why not! It’s the best social media channel! If you don’t have an Instagram account, chances are good that’s because you may feel like you just don’t have the time to properly set up an account for your small business. Although Instagram does make it as easy as possible to get your account up and running, it can take a while to make sure that your account is well-integrated into your business and your other social media channels. The first step is to write yourself a fantastic bio. Instagram bios are a little different from your bio on Facebook or your website. It needs to be super compact (only 150 characters) so every single word needs to count. Your bio should lay out exactly what it is your business does, what services you offer, and it needs to do it with personality. That can be a tricky balance with such limited space, so it might be best to hire a virtual assistant experienced in copywriting and Instagram to create and polish your Instagram bio for you. You also want to make sure you include a great clickable call to action, perhaps enticing your new followers to jump on and check out your digital offerings. Think of this call to action/free offer as the champagne of your Instagram profile. Of course, you want to make sure that link directs people to a perfectly polished website, landing page or free offer! The next thing you may want to do when setting up your new Instagram account is to link it to your other social media channels. This allows Instagram posts to be automatically shared on those other services. You can link Facebook, Twitter, Foursquare, Tumblr, and more. In your posts on those channels, it will say that you’ve posted it from Instagram, so if someone likes what they see, they might just jump over to your Instagram account to follow you. Win-win! Instagram being mobile-first offers you unique advantages as compared to other social media channels. Because of its mobile focus, its highly-engaged users tend to skew younger, mostly under 35. This can give you access to an audience that you might otherwise miss when using Facebook or Twitter. These people are often very tech-savvy and expect the content they look for to be equally polished and professional. This means that you may need to “up” your social media game a bit, with pro graphic design and other types of visual content. There are many successful businesses out there that are run entirely through Instagram. All marketing, sales, and audience outreach is through the app. This works because of the variety of advanced features Instagram offers its users, especially those who own small businesses. For example, instead of simply having static, boring images of your products, Instagram allows you to use dynamic video showing your product in action. You can create Instagram “stories” of strung together photos and videos that can actively tell a story to your followers (and storytelling is always the best way to engage customers.) Plus, did you hear – Instagram just started to roll out IGTV. This is going to be a huge game changer! If Instagram just isn’t how you want to sell your content, you could always set up an e-commerce store for yourself on your website. A virtual assistant can integrate everything into your website so your customers can instantly buy your products and services. Hire a virtual assistant to keep up with a demanding Instagram posting schedule! Here is the trick about Instagram, you need to have beautiful, engaging content. Lots of it. Like with a blog that hasn’t been updated in months or a Twitter account that hasn’t tweeted since 2010, if your followers see that you aren’t engaging with the platform, they are instantly going to be turned off. That said, the benefits of actively using Instagram are so great that you should be posting content on a daily basis anyway. This is where a virtual assistant can come in real handy. Not only will a virtual assistant properly write and format your posts with relevant hashtags, they can also create the beautiful content you intend to share. If you have some photos of your office that you want to post, a virtual assistant can spruce them up with filters and a little bit of digital manipulation. If you want to provide your followers with some valuable information, an infographic created by a virtual assistant can perfectly fit into Instagram’s “hit”. And best of all, your virtual assistant can do all of your posting for you at the best times of day, so you don’t even need to think about it. This frees up your time to do more important things while still connecting you with more people online. All of your awesome content will help you find new followers and expand your digital presence without you having to lift a finger. Instagram is an incredible platform, and one that is only getting better with time. Every year, new features are introduced that make it even more attractive to marketers and small businesses. This can make it a little difficult to keep up with Instagram trends if you are a small business owner or entrepreneur. So hire me to do it for you! I’m skilled in using Instagram (and other social media) and can help you grow your business presence with them. 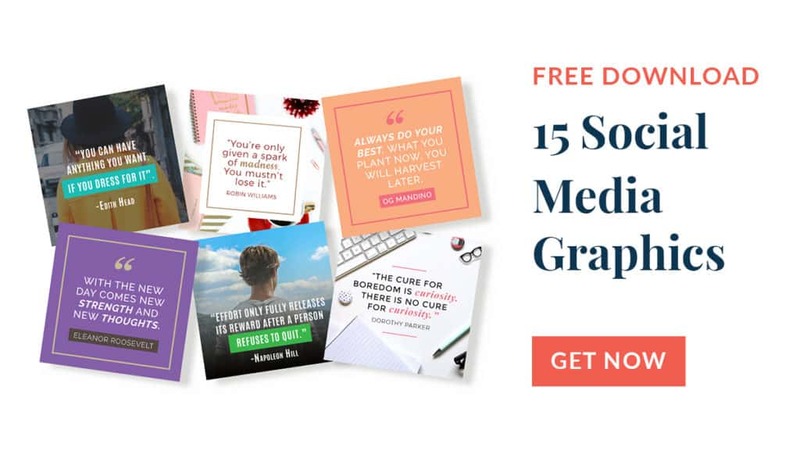 If you want a taste of what I can offer you, here are 15 beautiful free graphics that you can use on Instagram, or any of your social media channels. All you have to do is contact me today and we can discuss what kind of content you want to get out there to promote your business on the most popular social media channel out there today: Instagram!